Oh dear! It’s been almost two years since I’ve written anything in this blog. But I’ve got a good excuse: I’ve been working on my book! A year and a half ago I had an idea to write a book about all the great ideas I’d had, all the projects I had started and not finished. 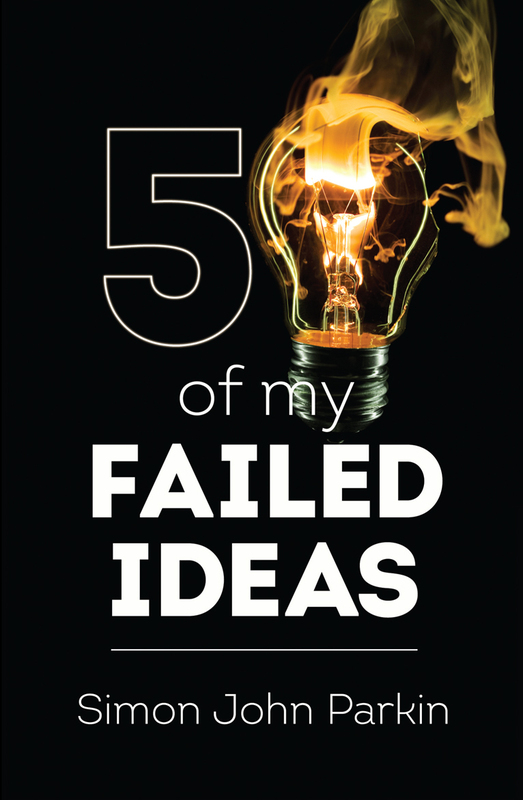 I would take a chapter for each failed idea and expand on it, explaining where the idea came from, how far I had got with it and why it had inevitably failed. It seemed like the perfect method of achieving my long-standing book-writing ambition; a way of breaking the task down into manageable chunks. The results may not be Hemmingway-like but at least I could say that I’d written a book, an actual book with pages and a cover, and that was, after all, what my ambition was. A year and a half later, after much procrastination, several re-writes and laborious proofreads, I finally sent my book off to the printers. And now you can buy it! Visit the book page here. 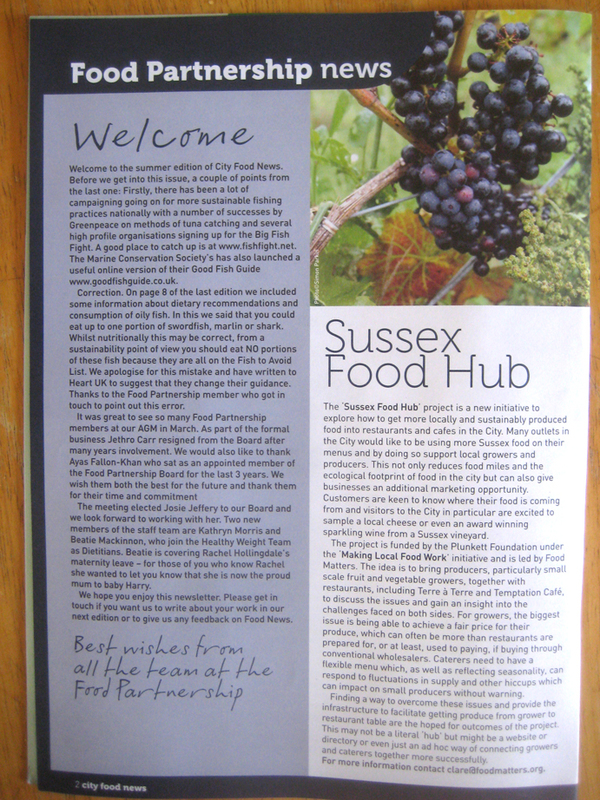 I’ve had a photograph published in the Summer issue of Brighton & Hove Food Partnership‘s City Food News. Okay, there’s a lot of nepotism here as I design the magazine. But as I read the article on local food issues I thought a photo of local produce would be perfect so I found a spare photo from my photographic trip to Sedlecombe Organic Vineyard near Hastings. I’m going to be known as the vineyard photographer soon. Simon ‘Grapes’ Parkin maybe. OUT NOW! The August edition of Country Walking magazine is out now. 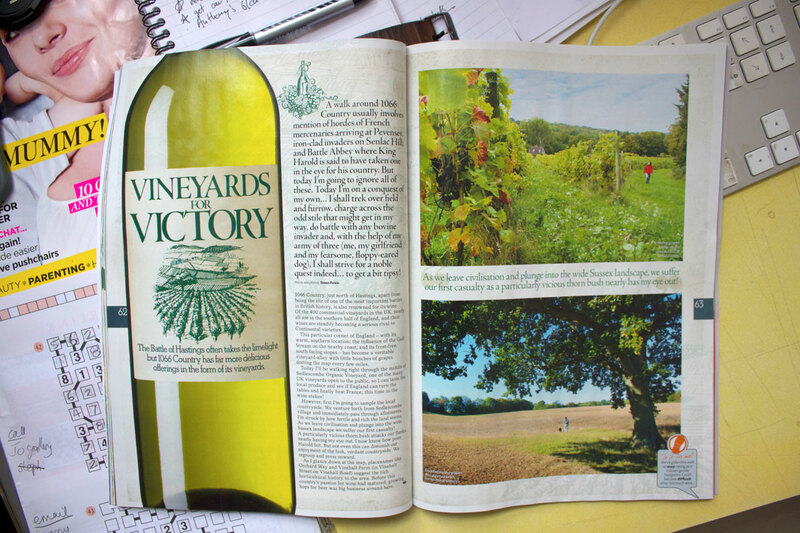 This month you can read my article about a walk though Sedlescombe Organic Vineyard. It features my photographs too (not to mention my stupid balding head faux-nonchalantly sipping a glass of fruit juice). I’m so proud! Buy your copy today. Welcome to my new website! I’ve now got a whole flotilla of sites, rusting away in the ether, but this one will hopefully be a first point of call; a collection of all my personal projects and extra-curricular activities in one place. 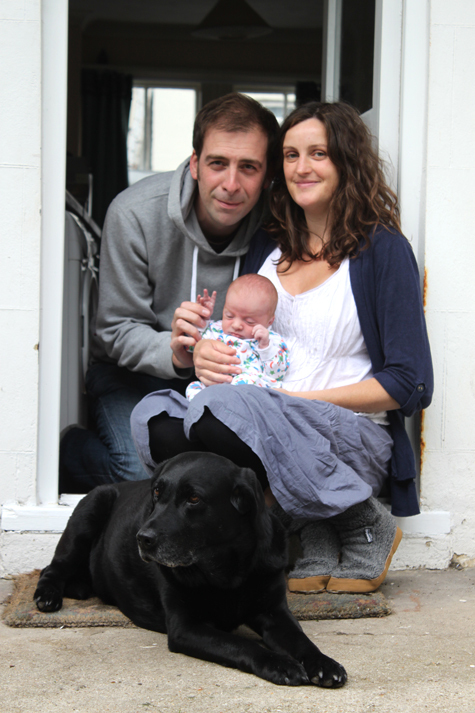 I’m a tad busy with my five week-old baby at the moment but I’m brewing several creative ideas, news of which I’ll post here as soon as I finish wiping milky vomit from my t-shirts. For now, I’m finally getting to grasps with Flickr so please have a look through my photos on there.